North Pole Legacy tells the story of two men whose existence was for decades nothing more than a popular legend. But that rumor was finally verified in 1986 when author S. Allen Counter journeyed to northern Greenland, and met this pair of remarkable men. Counter had long been an admirer of Matthew A. Henson, the African-American explorer who accompanied Admiral Robert E. Peary to the North Pole twice in early twentieth century. While conducting professional research in Sweden, Counter became intrigued by talk of mixed-race Inuit living in an isolated region of Greenland. Unable to forget this rumor, Counter traveled to investigate several years later, venturing more than a thousand miles north of the Arctic Circle. There, in two tiny villages, Counter met Anaukaq Henson and Kali Peary, Amer-Inuit sons of the two explorers. Born only days apart in 1906, they had long been acknowledged by their communities as the sons of Matthew Henson and Robert Peary, but had never been in contact with any of their American relatives. As it was obvious that these two men longed to see the country of their fathers, Counter arranged for Anakukaq, Kali, and their families to travel to America to meet their families. 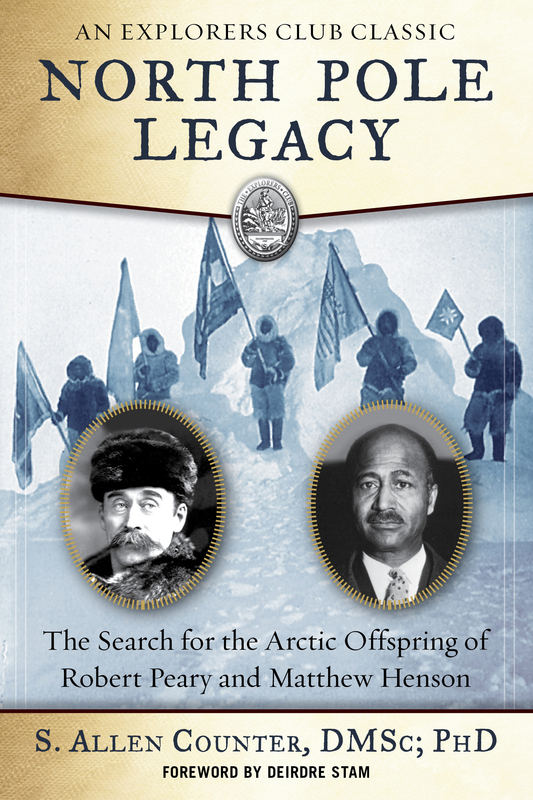 North Pole Legacy describes the obstacles that Counter overcame to bring news of Anaukaq Henson and Kali Peary to the world, to bring them to the United States, and to facilitate a reunion with relatives that they had never known. At the same time, the narrative flashes back to the unique history of Matthew Henson and Robert Peary in their collaboration as explorers and addresses their somewhat controversial claim to have been the first people to reach the North Pole. Compelling, insightful, and impossible to forget, North Pole Legacy is a must read for every history buff and armchair explorer. S. Allen Counter is a neuroscience professor at Harvard University and the director of the Harvard Foundation for Intercultural and Race Relations. He is an active member of the Explorers Club, Consul General of Sweden in Boston and New England, and recipient of an NAACP image award. Counter lives in Cambridge, Massachusetts.